Division I women’s volleyball is at a point in collegiate sports history where it couldn’t be more competitive. 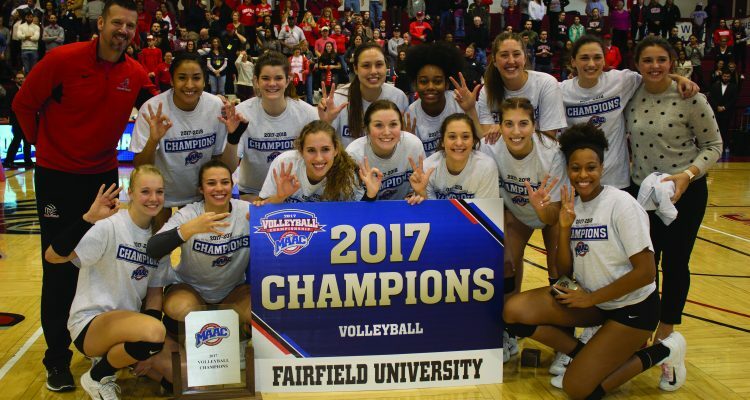 So for the Fairfield University Women’s Volleyball team to capture their third consecutive Metro Atlantic Athletic Conference Championship, you could say it’s quite the accomplishment. Fairfield’s 10th crown came by way of sweeping visiting conference foe the Iona Gaels 25-14, 25-19 and 25-11 on George Bisacca Court at Alumni Hall on Sunday, Nov. 19. All day long, Fairfield was locked in offensively. Senior Skylar Day recorded 14 kills alone while Megan Theiller ’18, Mayda Garcia ’19, Luci Albertson ’21, Kaylie Butts ’21 and Manuela Nicolini ’19 each contributed to the Stags’ total of 40 kills in the match. Fairfield was stingy on the defensive end as well. Theiller led all players with 13 digs and her counterpart Tayler Rudeen ’19 picked up 11, respectively. Meanwhile, Day and Sonja Radulovic ’20 chipped in on the opposite end with nine digs apiece. Along with the victory, several Stags brought home some impressive hardware. Day was named MVP of the 2017 MAAC Championship after already earning her second consecutive MAAC Player of the Year honor at the conclusion of the regular season. Day, Nicolini and Albertson were all named to the All-Championship Team in recognition of their outstanding performance throughout the MAAC Tournament. 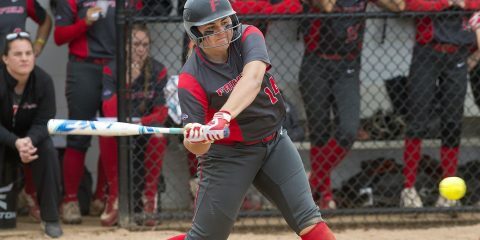 With the win, Fairfield became only the fifth team to win three-straight MAAC Championships. The Stags have to switch their focus onto the National Collegiate Athletic Association tournament now, as they will face off against the nationally ranked No. 2 Texas Longhorns in the first round of the NCAA Tournament. The game is set for 8 p.m. this coming Friday, Dec. 1 at Gregory Gymnasium at the University of Texas. Three Stags who hail from Texas, Sydney Williams ’19, Garcia and Albertson all should expect to have some family and friends in the crowd cheering them on. Fairfield will look for revenge as the 2015 team made the trip to Texas, but came up empty with a 3-0 loss in the first round. If the Stags defeat Texas, they will face the winner between Oregon State and North Carolina State on Saturday, Dec. 2. 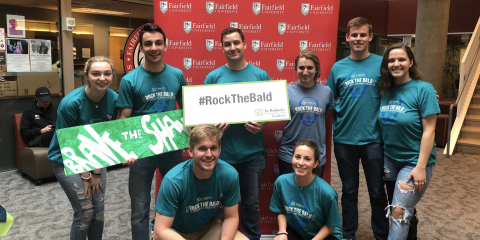 Fairfield looks to make a splash this weekend in the NCAA Tournament with the hopes of making a deep playoff run.